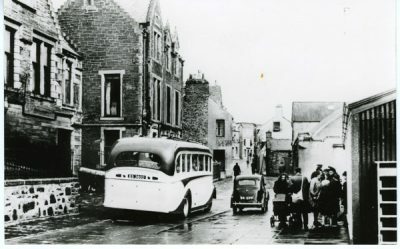 Scalloway on the west coast was the former Shetland capital. 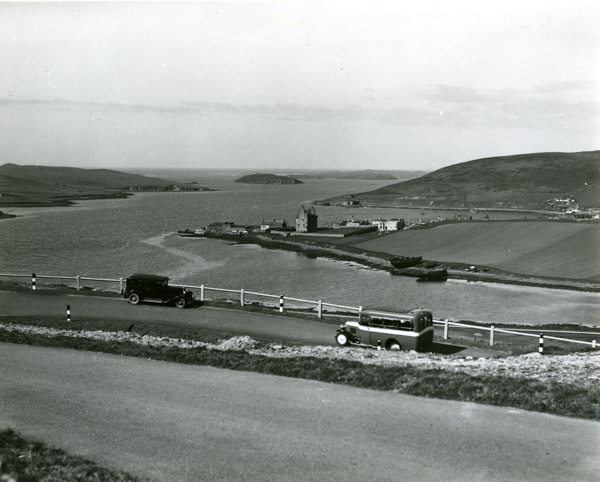 This view from the late 1930’s looking down on Scalloway castle shows SB 3866, a Chevolet 14 seater owned by Lames Johnson of Scalloway climbing the hill above the bay on its service run to Lerwick and about to meet a Chrysler car built 1929ish. 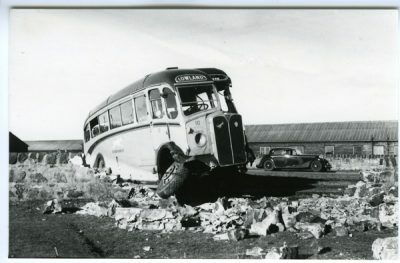 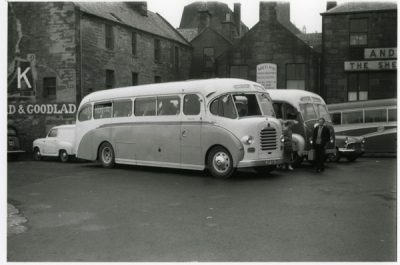 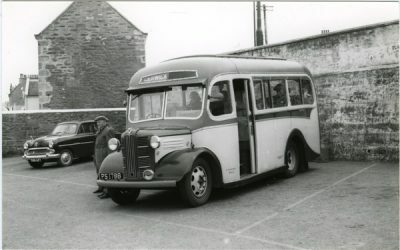 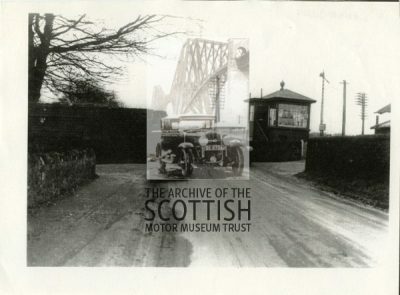 Johnson acquired the bus in 1938 and sold it to Watt of Reawick, Mainland, Shetland Isles in 1945.